Gil Hoffman analyzes how the deal signed in Singapore between US President Donald Trump and Korean dictator Kim Jong Un. 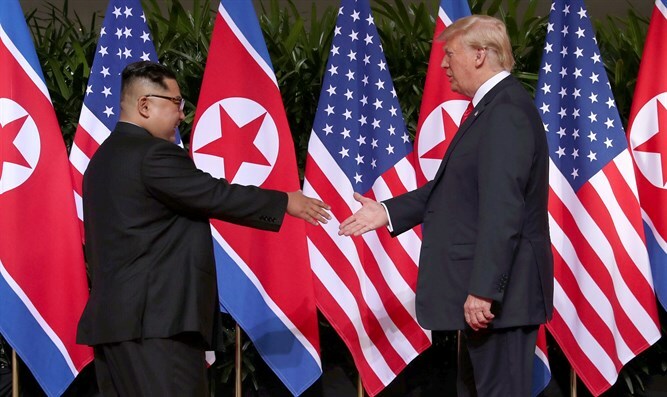 Gil Hoffman analyzes how the deal signed in Singapore between US President Donald Trump and Korean dictator Kim Jong Un could have an impact on possible war and peace in Israel and the efforts to prevent the nuclearization of Iran. After several weeks of hosting special guests on the show, Gil reviews what he learned from all of them. He then speaks about the role of English speakers behind the scenes inside Israel today.